Colorful & Creative Bath & Beauty Goods Using Only Good Ingredients. Entrepreneur with a Passion for Creating Winning, Great Feeling Recipes. Have you ever noticed that the fewer options you have the more creative you get to be in making something out of just what’s in front of you? Some people avoid this challenge, but local Austin maker Elly Fleegal of Fleegal Farms embraces it as an opportunity to develop something truly unique. 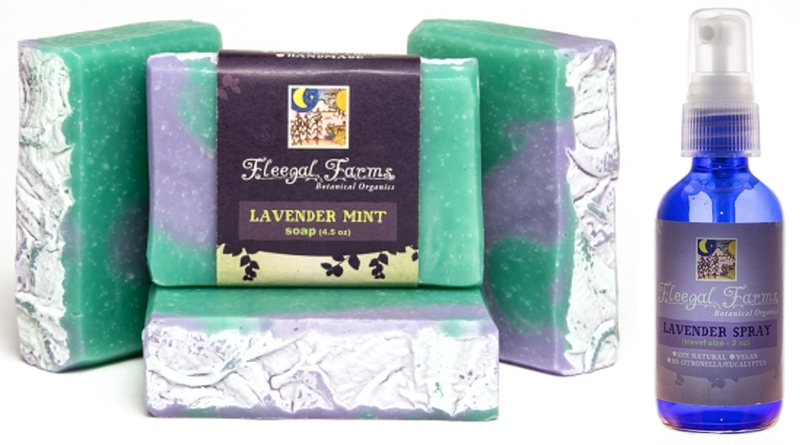 Fleegal Farms is dedicated to all natural soaps and skincare. Their goal is to leave you feeling fresh and invigorated using only all natural, vegan friendly ingredients. Elly leaves out the chemicals and animal products because she wants to focus on nourishing skin and helping eliminate all of the additives that have worked their way into our lives. 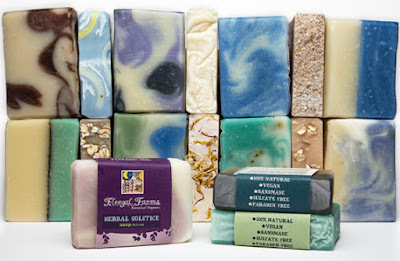 By keeping the quality standard high for the elements of every bar of soap and bottle of lotion Elly has less to work with for aromas and colors, but her knack for hacking has led to many wonderful recipes! Thankfully, Elly knows how to mix natural essential oils in bold ways! Everything coming out of Elly’s workshop is from scratch with careful attention to detail. I’m a big believer in delighting the customer, and Fleegal Farms really delivers. Some of their scents are more playful, especially the seasonal varieties. 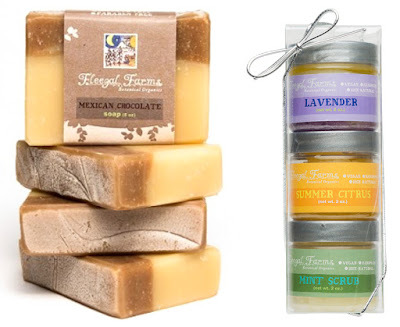 Yes, I have a sweet tooth, and I can’t get enough bath and beauty products reminiscent of delicious baked goods. Of course, Elly also offers an array of herbal aromas and even a few manly bars. It’s really neat to see how she pays homage to ingredients and inspiration that are special to Texas like lavender, cowboys and Texas Springs. You’ll see Fleegal Farms at major art events around Austin where you can smell her recipes firsthand. There are lots of choices these days when it comes to handmade bath and beauty, but you’ll notice the difference when buying from a creative entrepreneur that’s passionate about their ingredients.